If increasing website conversion is your prime objective, then creating a landing page is a must. However, for it to deliver the desired result, you need to ensure that your landing page is aligned with your marketing campaign. As such, if you run a WordPress powered website, then you have loads of options to create a successful landing page via the best WordPress landing page plugins. But, before we take a look at these plugins, let’s first quickly check out what are the essential landing page elements and why we need to use a WordPress landing page plugin. What Are The Essential Elements of a Perfect Landing Page? A landing page primarily caters to the exact information a potential customer searches for in Google. A landing page should be precise, and it should convey about your product or service on offer in a clear and concise manner. The page should also be attention-grabbing and interesting so as to keep your visitors engaged. To put it simply, a landing page should be optimized with key design elements and must aim at gaining more traffic/leads to your website. Why Use WordPress Landing Page Plugins? Let’s say your aim is to sell products online. Here, your landing page should focus on selling the product along with a call-to-action. Thus, with the help of a plugin, you can carefully design an actionable call-to-action button that helps boost your ROI. Likewise, with the help of a landing page plugin, you can add safety sign features which ensure that your website is safe and secure. And, if it deals with sales, then you can easily add trust symbols and other verified signs. Landing page WordPress plugins let you boost your site’s traffic most conveniently and it helps increase your site’s conversion rate. Thus, if you want to build a successful landing page then here are 7 best WordPress landing page plugins that you can use. You can use InstaBuilder plugin if you want to create a simple and optimized landing page. The drag and drop feature lets you set your page with easy access and with more than 100 templates to choose from, you will surely have no dearth of options. The design elements of this plugin are simple and it features easy access to videos, images, buttons and tabbed content. There is a built-in image graphics editor in this plugin, which can help you to build a pretty landing page the boosts conversion. 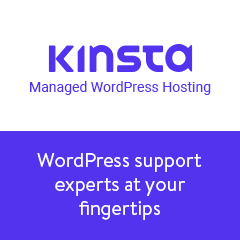 This plugin also has a special statistics and analytical support feature that will help you monitor the statistics of your WordPress landing page. Beaver Builder WordPress plugin features more than 50 special templates that you can choose from. The drag and drop feature of this plugin helps save a lot of time so that you can focus on important matters like the content of your landing page. Also, you can easily edit any page, by simply clicking on the element present on that page. With this plugin, you can easily add new modules and also customize your page as per your requirements. Additionally, since this plugin allows you to create any kind of landing page for any website, it makes this plugin a great choice for beginners. WordPress is the best CMS and as such, it offers you this superb plugin that helps you to create unlimited landing pages for your website. With the Parallax Gravity plugin, you can set your landing page as homepage with activated features. This plugin also supports menu external link and Google Analytics that helps you keep track of web page statistics. This plugin supports keyword and custom CSS that will help you to control the HTML appearance of your WordPress website. Also, it helps you generate unique QR codes for online and offline marketing campaigns; which is a great feature for any eCommerce website. OptimizePress WordPress plugin specializes in converting online audience and helps you to grow your website. There are more than 30 awesome templates that will help you to customize your landing page. Also, this plugin ensures that all your landing pages are responsive. The editing feature in this plugin is simple, and you can edit your landing page and make the desired changes as per your marketing needs. This plugin also features integration at the API level and as such, you can integrate this plugin with popular 3rd party apps like Autopilot, MailChimp, Icontact and 1shopping cart. Grow your email list in the most effective way with this plugin. You can set up an opt-in form for your landing page to increase traffic. There are also more than ten appealing templates that will help you to customize your page. You can use the unique exit intent feature in this plugin for pop-ups on the web page. If someone leaves the page, there will be a popup notification, so that can also help to keep the audience engaged. The plugin also features A/B split testing and advanced conversion tracking. Elementor page builder plugin has the fastest speed compared to other WordPress landing page plugins. It features live editor with UI and as such, you can easily add different modules, sections, images, buttons, slides and much more. Elementor is great for people who want to build their website-landing page from scratch. This plugin also offers a blank template, which you can customize according to your website or web page. Moreover, all templates are easy to install. Thus, if you are searching for flexible features with optimized results then this landing page plugin is your best bet. This plugin helps you to set your landing page as your homepage. There is a unique page builder feature that has many templates; you can choose a template according to your web page. The split testing feature comes with a preview setting. So, now you can review your landing page before it goes live. This plugin can be integrated with Gravity Form, Ninja Form, SEO Meta box and Mailchimp. It also lets you add customized forms with the help of HTML or coding. You can easily set up your landing page in minutes with this best WordPress plugin. A landing page is imperative for brand building and to boost conversion. With a landing page, it becomes easier to capture leads and turn them into profit. Also, since generating traffic to your website takes a lot of time and effort, building a landing page can be mightily useful. WordPress landing page plugins are the fastest, easiest and more credible way to build a high-converting landing page. Each of this plugin can be factorized on pointers like the ease of use, functionality, great templates, responsiveness, and a ton of useful features and capabilities. Thus, choose your favorite WordPress landing page plugin from the above list and get started on creating a landing page that helps yield a higher return on your investment.